Today's Headlines is the official briefing of the American College of Obstetricians and Gynecologists and is a highly valued member benefit. It is delivered Monday through Friday by 8 a.m. EST. The American College of Obstetricians and Gynecologists membership represents the vast majority of U.S.-based board certified obstetricians and gynecologists and is the leading voice in advocating for quality women's healthcare. 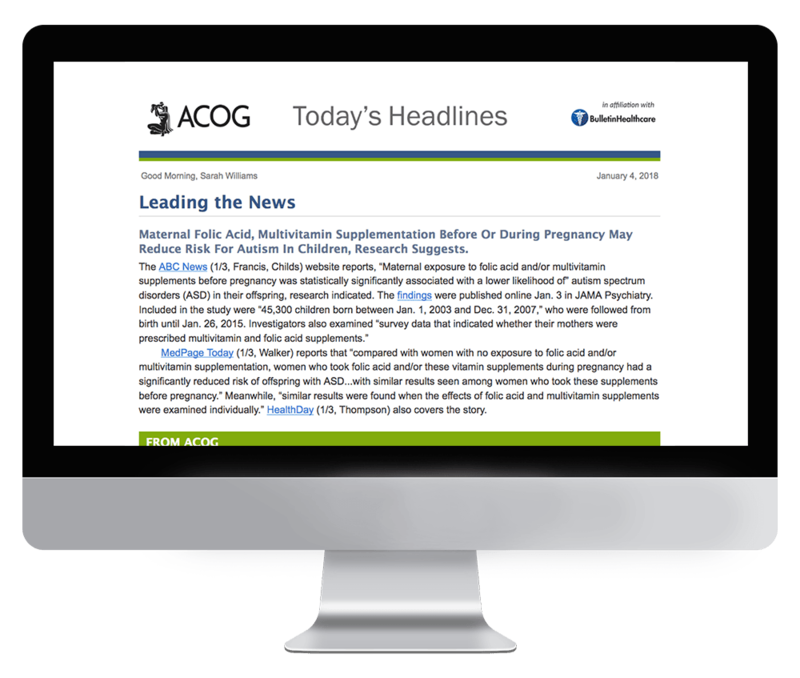 Subscription to Today's Headlines is exclusively limited to ACOG members. If you are a member of ACOG and would like to receive this briefing, please reach out to the association directly.